Pierre de Coubertin Award winner Bianca Mason. 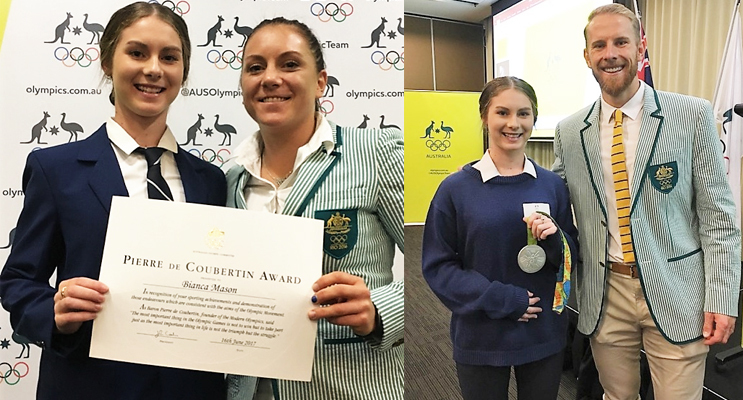 BIANCA Mason has received the prestigious Pierre de Coubertin award in recognition of her involvement in sport and for displaying the Olympic ideals of teamwork, fair play and sportsmanship, both on and off the field. The award was presented by NSW Olympic Council President and AOC Vice-President, Helen Brownlee, at an Olympic Academy day recently held in Sydney. The Bulahdelah Year 12 student has been involved in sport since she was eight years old, and currently plays first grade soccer, regularly competes at State Athletics Championships and is also a classical dancer. As part of the selection criteria for the award, Bianca submitted a literary piece on the moment during the 2016 Rio Games that made the biggest impact on her. Bianca said she wrote about Paralympian James Turner, who smashed the world record and won gold in the 800 metres. “I trained with James for five years at the Forster/Tuncurry Little Athletics Club, he is very determined, motivated and a naturally talented athlete,” Bianca said. In addition to receiving her award, Bianca also heard from three Olympians, including rower Cameron Girdlestone, who recounted his Olympic journey. She also took part in a boxing session with Rio 2016 boxer Shelley Watts. Bianca said, “Meeting the Olympians was inspirational”. “Shelley is from Laurieton, and shows that even though you come from a small town, you can make it all the way,” she said. 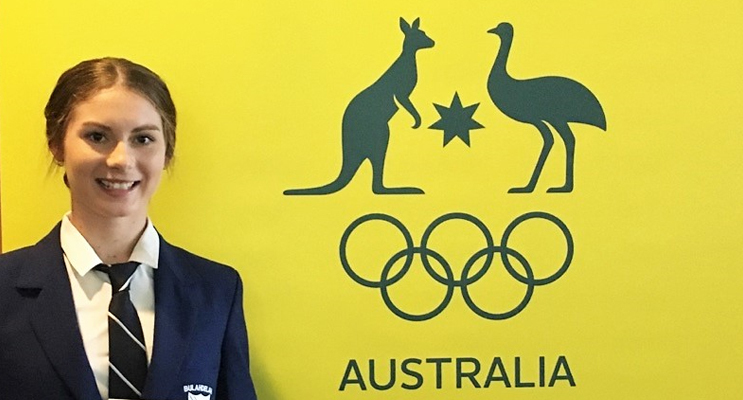 Bianca is currently balancing a hectic training schedule with her HSC studies, and has her sights firmly set on representing Australia at the 2020 Tokyo Olympics. “To represent your country, family and hometown would be a dream come true,” she said. Bianca was amongst an elite group of 70 NSW secondary students who received the Australian Olympic Committee’s award last week.